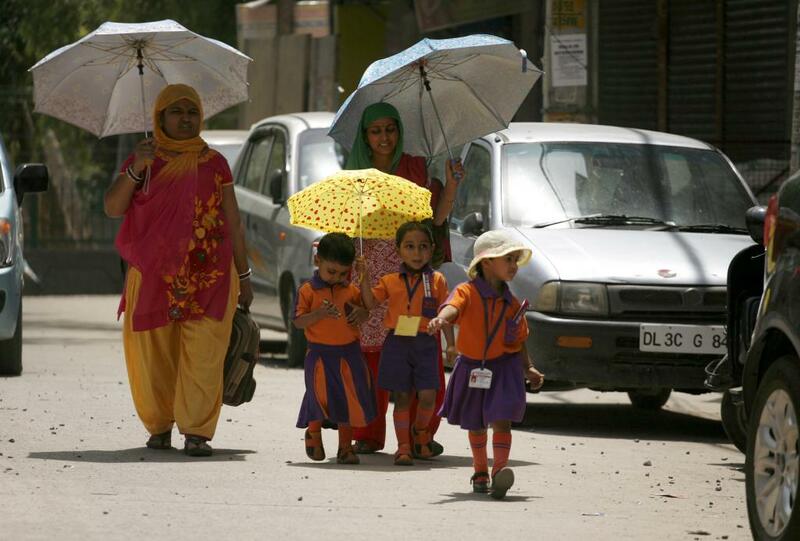 The India Meteorological Department (IMD) has warned of a heat wave in the coming weeks. According to forecasts, temperatures are likely to rise above 40 degrees Celsius in most parts of the country and heat wave-like conditions are likely to develop in Gujarat, Odisha, Telangana and Andhra Pradesh. Such extreme temperature events are becoming a norm in India and other sub-tropical countries around the world. According to reports, climate change is likely to have caused this increase in incidences and severity of heat waves. IMD estimates that average temperatures between March and May in recent years, have increased by 1-1.2°C above the 100-year-average. According to the Intergovernmental Panel on Climate Change (IPCC), as average temperatures increase, outlier events like heat waves—defined by the IMD as an increase of 5°C above normal temperatures—are likely to become more severe. This means that they will entail higher temperatures and will last longer. In the past, heat waves have caused loss of life, increased morbidity and productivity losses. According to estimates, more than 4,000 people have died due to heat waves between 2013 and 2016 in India. Additionally, productivity losses worth US $450 billion will be incurred due to extreme temperatures in India by 2030. Increasing temperatures also necessitate increased use of air conditioning systems, while also reducing their energy efficiency. Heat waves may, thus, increase energy consumption and contribute to increasing instances of power outages across the country. These losses may increase further due to the interaction of heat waves with other climate extremities. According to reports, in dryer regions like Gujarat, the increasing intensity and frequency of droughts may also contribute to increase in the intensity and duration of heat waves. This is because decrease in the level of soil moisture caused by droughts may lead to an increase in air temperatures, thus intensifying heat waves. Such events becoming easier to predict, so government should take adaptive measures to minimise losses. Prominent adaptation measures include improving forecast and alerts regarding high temperature periods, increasing access to cooling spaces like public buildings, strengthening public health institutions to deal with heat stress-related ailments, minimising water and electricity supply cuts during heat waves, and implementing green building guidelines that ensure better ventilation and lower natural temperatures inside buildings. International effort to combat climate change, however, has suffered a severe blow recently. The newly elected government in the United States has been regressive on the climate action front, with recent orders curtailing efforts to curb greenhouse gas (GHG) emissions especially in the power sector. This stance by the world’s largest historical GHG emitter may negatively influence the commitment of the international community to restrict warming to 2°C as stated in the Paris agreement. Concerted efforts by all parties are needed to ensure that the political developments in USA do not derail actions to combat climate change. India’s role should be to address extreme weather and other impacts of climate change, while ensuring that developed countries do their share based on their historical responsibilities.